Bangi, 25 November 2014 – The Goods and Services Tax (GST) will be implemented to reduce dependence on revenues from income tax and petroleum exports while removing flaws in the Sales and Service Tax (SST). 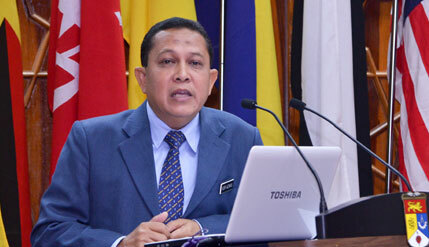 Assistant Director of the Royal Customs Department in Selangor Nor Azman bin Baharom said the GST is more efficient because it can reduce bureaucracy and improve monitoring. Delivering a talk at a seminar on the effects of GST, the Price Control Act and Anti-Profiteering Act here today, Nor Azman said the system can also be more easily regulated by individual traders who can do ‘self-policing’. The seminar was jointly organised by the Law Faculty of the National University of Malaysia (UKM), The Consumers and Family Economics Association of Malaysia (MACFEA) and the Ministry of Domestic Trade, Cooperatives and Consumerism Ministry (KPDNKK). “GST which will replace the SST is comprehensive while reducing red tape. It is not a new tax and will come into force on 1st April next year. It is as if an old house is renovated to be better,” he said. Malaysia as a middle income country needed to keep abreast of the rest of the world in terms of tax collection. Some 160 countries have already implemented the GST, including seven ASEAN countries leaving only Malaysia, Brunei and Myanmar that have yet to do so. He said Malaysia needed to strengthen its sources of revenue so as to be less dependent on exports of natural resources such as oil, gas, palm oil and rubber which are still important to the national economy. “We now see the price of petroleum in decline with revenues exports of petroleum,” he said. The government could not also collect sufficient revenues from income tax as there are now only 100,000 people who pay the tax. A spokesman of the Selangor enforcement division of the Ministry of Domestic Trade, Cooperatives and Consumerism (KPDNKK) Basaruddin bin Muhyiddin said they will keep profiteering in check when the GST is implemented. The ministry had mobilized some 500 enforcement officers to monitor businesses since the announcement of the GST was made nearly two years ago. Basaruddin said the move was necessary because there are traders who may take advantage of the implementation of the GST to raise prices even when the tax is yet to be implemented. There were already restaurants that had raised prices of beverages on the pretext that prices of all goods have gone up because of the GST. “When I pointed out that the GST had not even been implemented yet, they replied they were doing a trial run. This was cheating and we gave them stern warnings,” Basaruddin said. Enforcement will also be carried out on price controls while the Anti Profiteering Act 2011 will be used to deter excessive prices charged by traders because of the implementation of the GST. They will also curb price manipulations by traders and inspect all types and levels of business as well as monitoring the market prices and service charges, Basaruddin said.